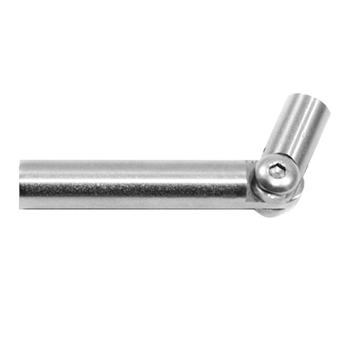 This INOX Accessory has a adjustable rope connector and features a stainless steel finish. Stainless Steel Round Bar 3/8" Dia. x 19' 8" 316 Stainless Steel 1 2/3" Newel Post (Pre-Drilled) with M8 Corner Stainless Steel End Cap Rounded for Tube 1 2/3" Dia. Stainless Steel Round Bar 1/2" Dia. x 19' 8"